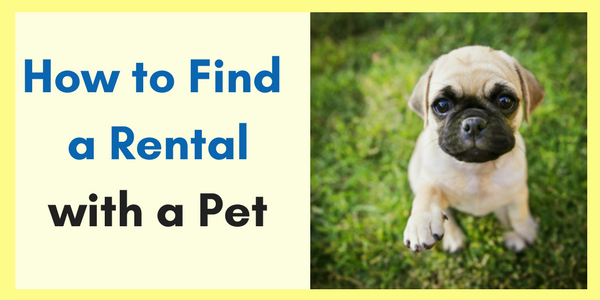 Which Pets Aren't Allowed in Military Housing? 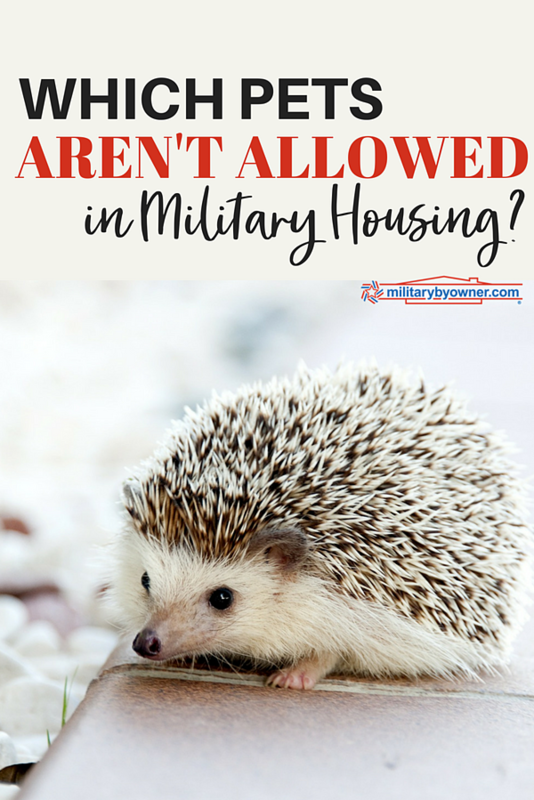 If you move into military family housing on your next PCS, bring your horse (many installations have stables), but leave your skunk, your raccoon, your cobra, and your hedgehog with a friend or family member. You also may not domesticate any of the base squirrels; leave them to terrorize the neighborhood and pelt you with acorns on your morning run. It seems ridiculous to specify that your skunk may not live in base housing with you. Seriously. Who brings their skunk? Someone did, though, because even though neither the individual branches nor the privatized housing companies can agree on a standardized breed restriction list for dogs, they all agree that skunks can’t live inside base housing. Animal restrictions for military housing exist to help keep your military family safer while living on base, but they don’t all agree on what animals do or do not make you safer. Even when an installation does create a policy to make you safer, they don’t necessarily enforce it. After an exhausting two-day drive following a last-minute unplanned DITY move (thank you for canceling at the last minute, military movers), my husband and I pulled our car up to the housing office. Our house was ready, and all we had to do was sign the paperwork, get the keys, and move ourselves, our stuff, and our overtired, cranky, hyperventilating dog into our new home for the year. With complete dog medical records in hand, we strolled into the office. I climbed back into our car vaguely wondering which of us was hyperventilating more--me or the dog? The housing officer had requested a genetics test for our dog’s breed. What?! This wasn’t in the paperwork! It wasn’t in any of their policies online, and during my many calls to the housing office, not a single person had mentioned anything other than bringing his updated shot records. The housing officer handed me a number of someone who could help, someone who could "get the job done" in less than a couple of weeks. He explained that it helped the installation maintain their breed restriction policies by having the precise breed of the dog, which they could only procure from a true genetics test. I’m no geneticist, but from my understanding, a quickie genetics test on a dog won’t tell you whether my dog is a danger to your installation. In our post Breed Restrictions for On-Base Military Housing, you can read how the Director of the Army’s Veterinarian Service Activity agrees--the blanket breed restrictions exist to weed out dangerous dogs, but they fail to recognize that the problem with "bad" dogs more often lies with the owner and not with the dog. These restrictions simply don’t serve their purpose. I took a deep breath, marched back into the office, and demanded that the housing officer come outside and meet my dog. Eventually, he obliged. He shirked when he saw my 100-lb mutt’s massive hulk, but upon seeing him meekly obey our commands, he relented. He signed off on our dog’s approval for the base, requiring no further testing or paperwork. I was elated, but given the willingness of the housing officer to break his pet policy--albeit, a new and undocumented policy--it made me wonder just how many other potentially "illicit" creatures lived on base with us. The minor offenses: one with more than the permitted number of cats (three instead of two). The moderate offenses: possession of "restricted" breed dogs through waiver loopholes for having either grandfather clauses on the dogs (on newer breed restrictions) or therapy dog permissions. The more serious offenses: a variety of reptiles and a dog "boarding" facility. At the time, I had no idea that the person running the latter was operating a prohibited business on base. After all, if military spouses could run family child care businesses on base, then why couldn’t they also care for dogs? It seemed logical, though written policies firmly prohibit operating any kind of commercial animal business on base. 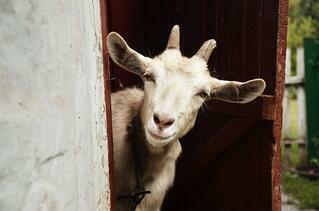 If you're planning to bring a questionable animal on base for your next move, then check out the lists of (generally) prohibited and permitted animals below for some guidelines. But always make sure to verify with your specific installation for their exact policies! Dogs: no more than two. Breed restrictions exist, though they differ by branch. In the event of a joint installation, the policy of the lead branch in charge of the installation wins. Cats: no more than two. Caged Animals: hamsters, guinea pigs, rabbits, gerbils, birds. Aquarium Animals: turtles, aquarium fish (there are often size restrictions on aquariums). On that note, if you ever do find out just who brought the skunk on base, please share. We’d love to hear the story!